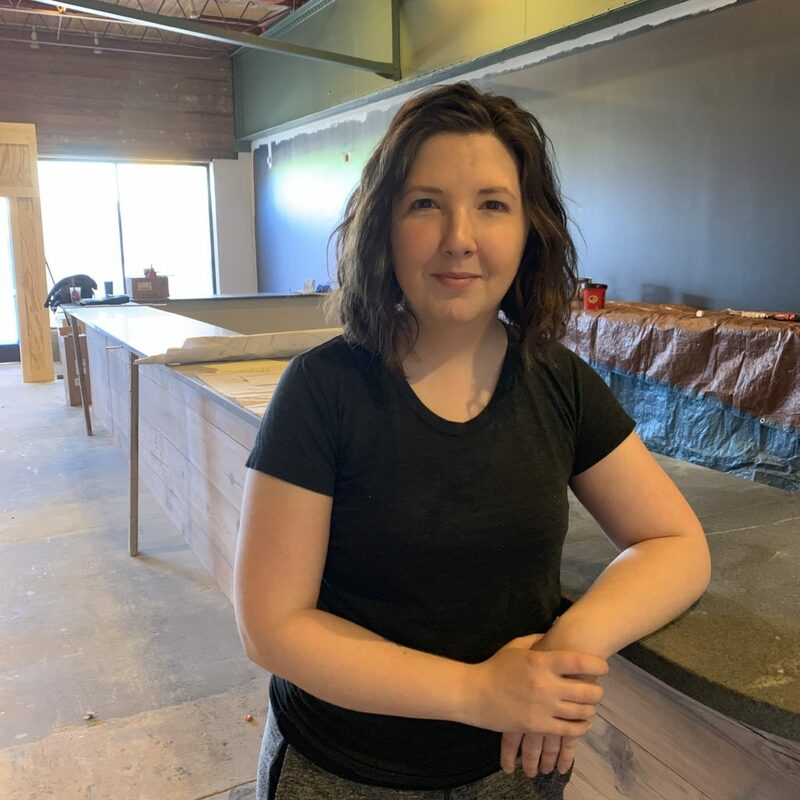 Kate Ashby of Knifebird, a new wine bar expected to open in Cooper-Young in May. Knifebird: If there is anything that can get Cooper-Young excited, it’s the opening of a new restaurant or bar in the neighborhood. Expected to open in May, Knifebird is Cooper-Young’s new wine bar. It will take over an empty space in the shopping center that houses Pavo and Urban Outfitters. The owner is Kate Ashby, a certified sommelier who moved to Memphis in 2016 to open The Kitchen at Shelby Farms Park as the wine director. Disheartened by the lack of businesses dedicated to craft beverage programs in Memphis, Ashby decided to open Knifebird to create a space for individuals who are passionate about wine and cocktails and crave an intimate setting to socialize with friends. When asked how she chose the name of the restaurant, Ashby revealed that she has a tattoo of a seagull on her arm that has been confused with a dagger, leading to the nickname knifebird many years ago. “It kind of stuck, and when I was trying to think of a name that would be personal and catchy, it just seemed like a natural fit,” she said. She looks forward to being a part of the community and having such great neighbors along with being in such close proximity to so many great restaurants. Ashby says Knifebird will be unique from other bars in the area. One thing she mentioned is her focus on a wide range of wines and specialty cocktails to offer guests all at a reasonable price point. Crone Construction: When the time comes to replace the Formica countertops, install double-pane windows to reduce energy costs, or add HVAC to a home with window units, Cooper-Young now has a local option. Crone Construction moved into the neighborhood recently and want to provide Cooper-Young with a one stop shop for all their construction woes. Crone Construction is a third-generation family company founded in Memphis. They service the Mid-South and offer high quality workmanship for homes, offices, or commercial spaces. Services included, but are not limited to: replacement windows, doors, siding, gutters, HVAC, and remodeling (both minor and major). “With family values being most important to us, we offer our customers honest pricing and try to work within their budget.” said Matthew Lee Crone, president of Crone. Cooper-Young is, or course, famous for its restaurants, bars, and shops, but not necessarily businesses like construction. So why did the Crones choose Cooper-Young for its office. The Crone staff is looking forward to building lasting relationships with their neighbors and new community. Join our mailing list to receive the latest news and updates from the Cooper Young Community Association.